Are the vessels and structures on our Anatomical Liver accurate, or are they just a random jumble of tubes meant to look cool, like the meaningless protrusions on a science-fiction spaceship*? The answer is that everything has been carefully researched, and is as accurate as we can make it given the small size of the piece (and other technical and aesthetic limitations). 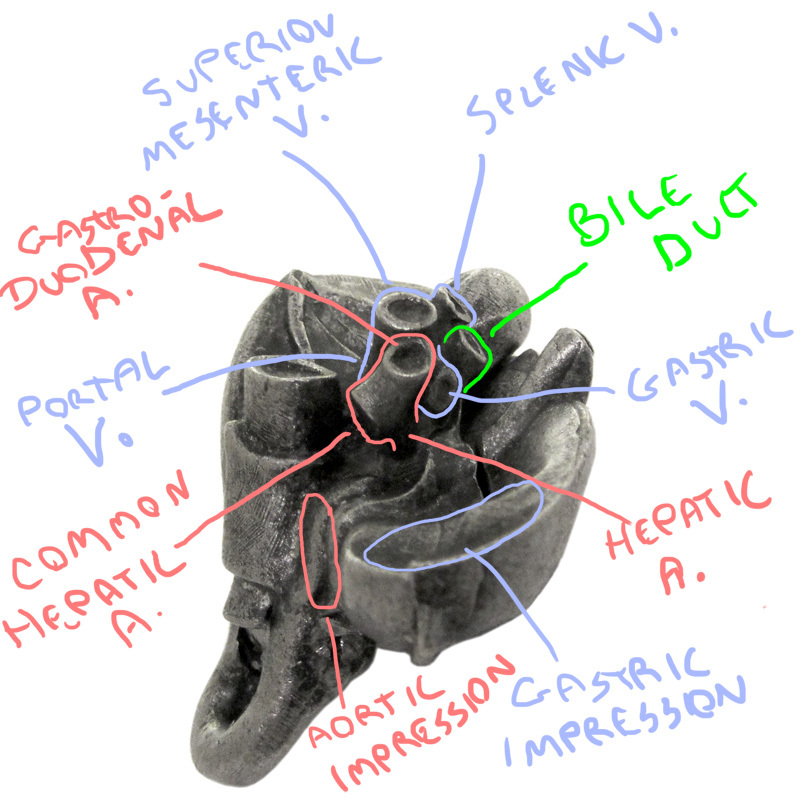 The portal vein (of which two branches are shown) conducts blood from the digestive system into the liver for processing of nutrients and removal of toxins. The common hepatic artery branches into the hepatic artery, whichsupplies oxygenated blood to the liver, and thegastro-duodenal artery, which supplies parts of the upper digestive tract. 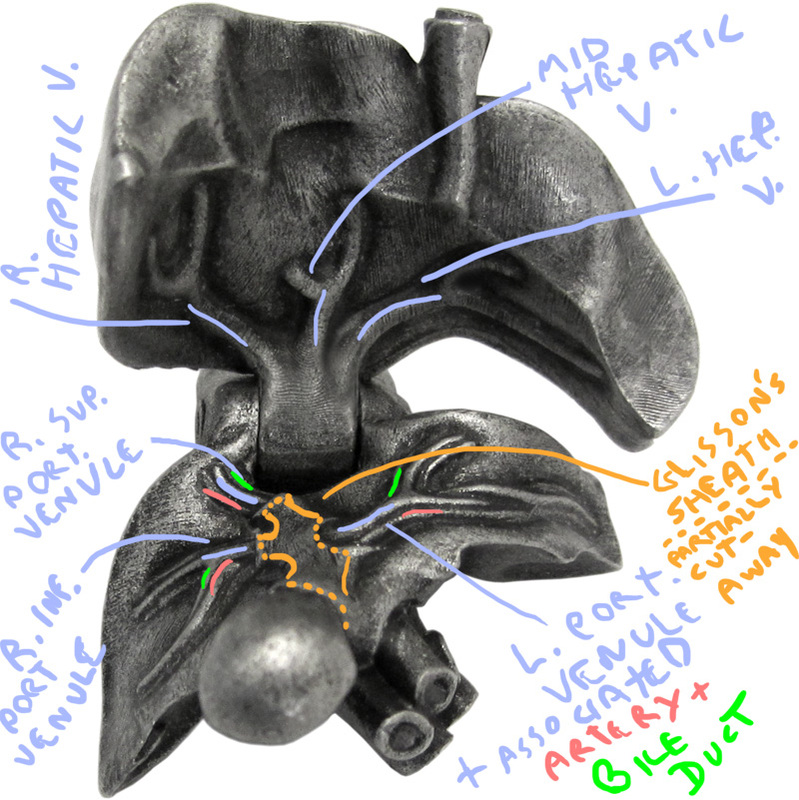 Lastly, the Bile duct (or common bile duct) transports bile and other secretions from the liver and gallbladder, to the intestine, where they aid in digestion. * Such meaningless details are called "greebles"